Proprietary study delivers signature Chinese and Korean-American insights on media engagement preferences and purchasing behavior. 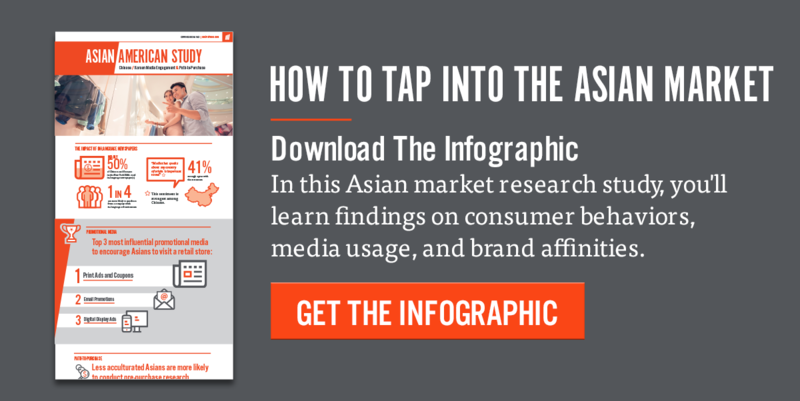 Motivate Inc., the leading specialized insights and media partner for reaching Multicultural, Youth and LGBTQ segments, announces the release of its Asian Path-to-Purchase study. Conducted in partnership with New American Dimensions, the report delivers signature findings on consumer behaviors, media usage and brand affinities. Asian Americans are of the highest-income, best-educated and fastest-growing racial group in the U.S. While the Asian consumer represents a great opportunity for brands, there are major marketing obstacles stemming from consumer segment confusion and lack of data insights. Motivate’s Asian Path-to-Purchase Study aims to dissolve some of the market barriers by shedding light on major hot topics including media consumption, language preferences, device usage and more. Motivate’s Asian Path-to-Purchase study, focused on Chinese and Korean adults, 18+ in the three largest Asian metro areas: Los Angeles, New York and San Francisco. The study was conducted by New American Dimensions, a leader in multicultural research and insights. Motivate is aiming for a follow-up study focusing exclusively on the South Asian market in 2016.